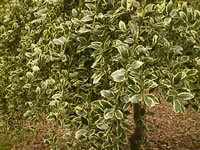 Holly trees (Ilex aquifolium) can tolerate either sun and shade. Although semi-shade is preferable in midsummer, the more light it has the more dense its foliage will be. 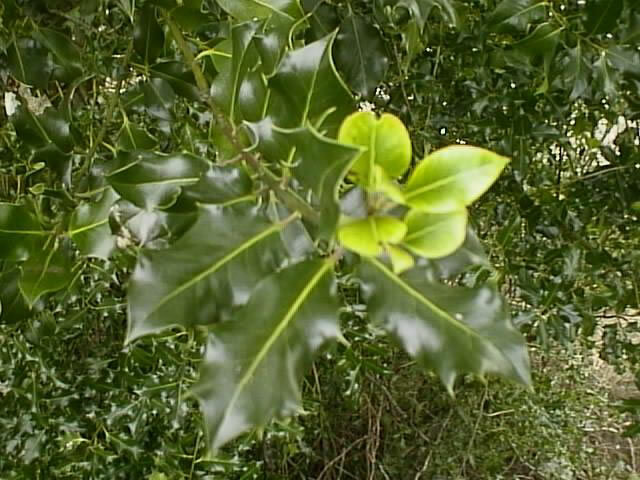 Holly requires well-drained, slightly acidic, fertile soil. 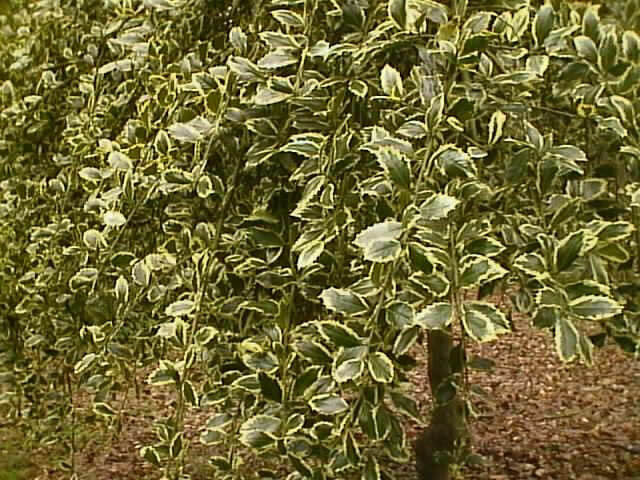 English Holly trees will grow to fifty feet or taller, so consider this when you are deciding where to plant your tree. They should not be planted in open areas where they may be exposed to cold winter winds or excessively hot summer sun. Plant your Holly Tree in early spring before the new growth begins. Mulch with a 2 to 4-inch layer of wood chips, sawdust, pine needles, ground bark or other coarse material to keep the roots cool and moist. The root system of Holly plants resents being disturbed, so do not cultivate the soil around them. Keep the soil moist during the summer growing season, but allow it to dry somewhat in early fall to allow the season's growth to mature enough to resist winter damage. If pruning becomes necessary, do it in early spring before new growth begins, trimming towards a symmetrical shape. 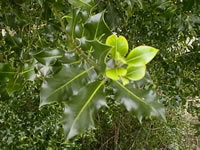 The male and female flowers of the holly tree are produced on separate plants. Therefore to ensure berry production, both male and female plants need to be planted. The male tree must be within 100 feet of a female tree of the same species in order for bees to successfully pollinate the female flowers and thereby produce the bright red berries that Holly trees are known for.